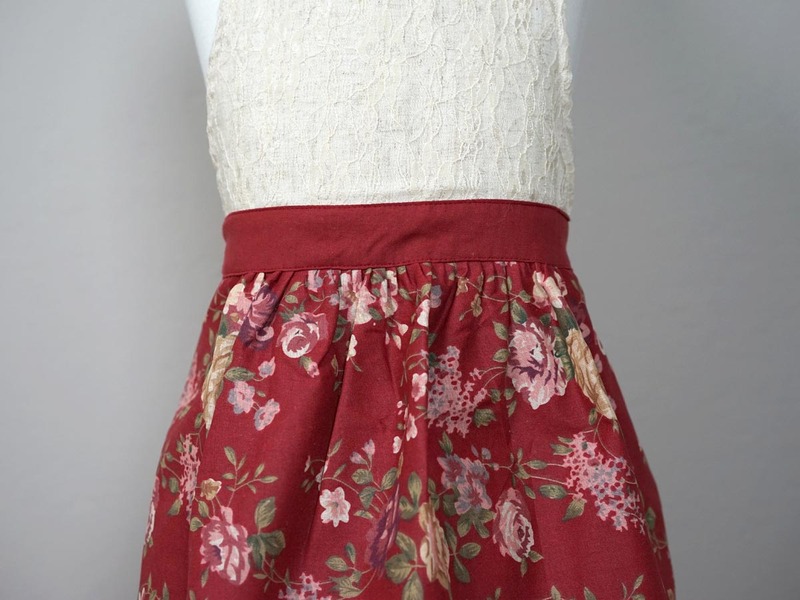 Perfect for the Winter holidays! 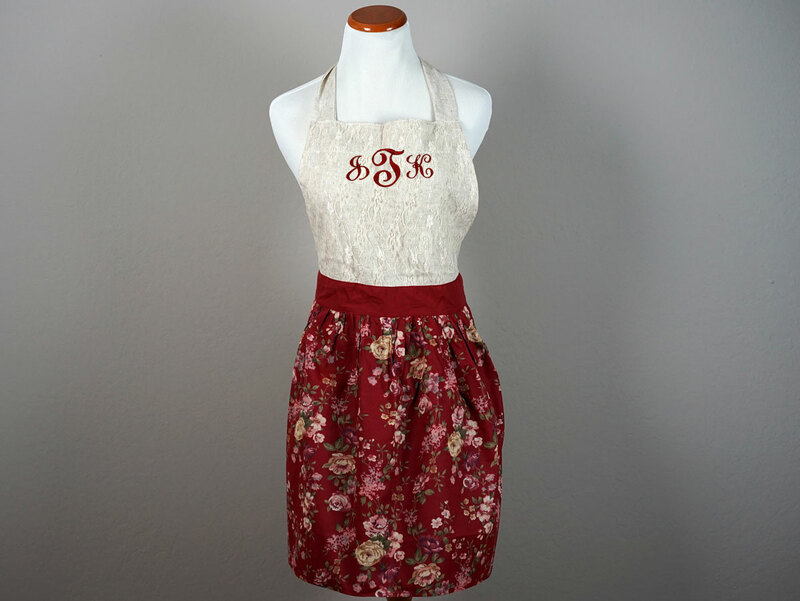 What woman wouldn't want to serve their guests in this sweet floral lace apron? 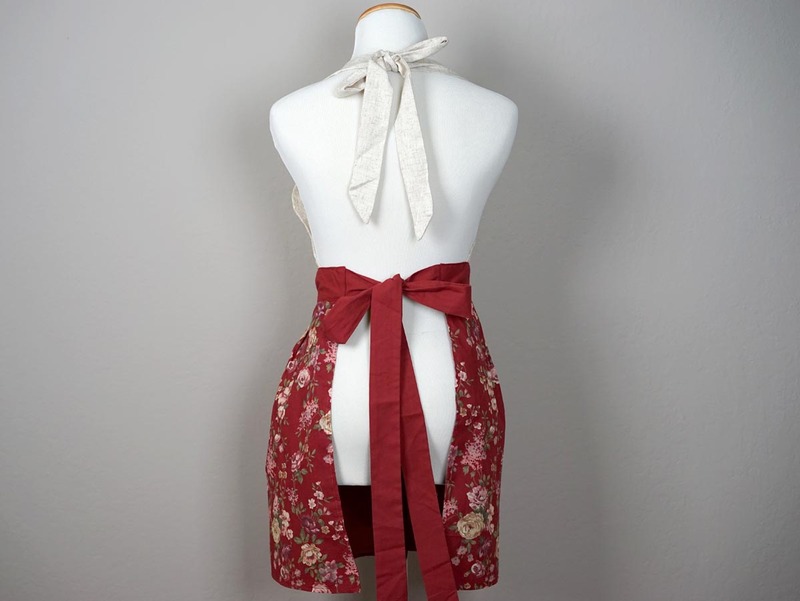 This Autumn inspired hostess apron is made with a burgundy floral pattern on the bottom. 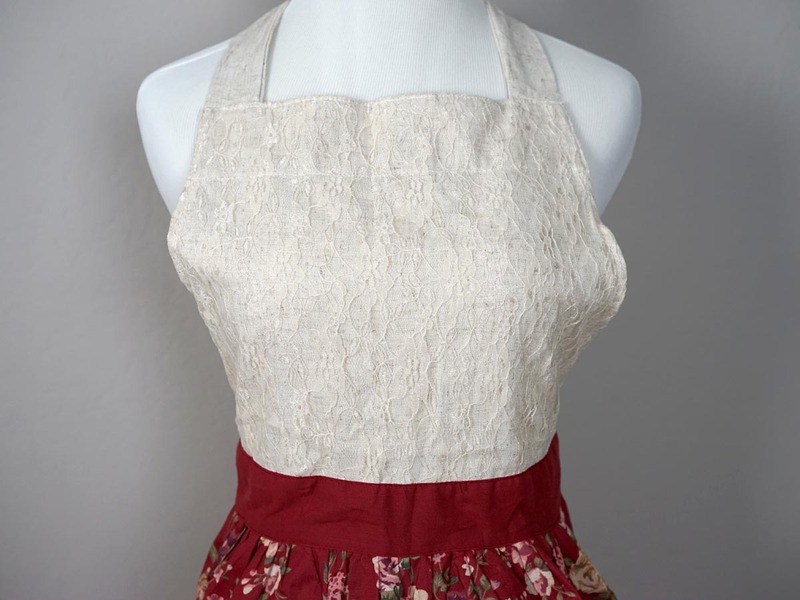 On the top, the oatmeal color bib is accented with a pretty lace overlay. 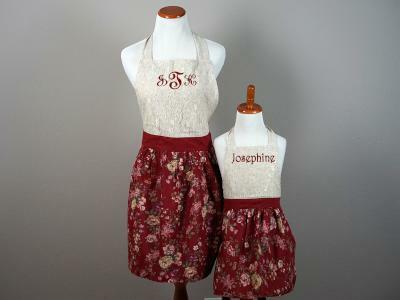 Vintage Inspired Burgundy Floral Lace Hostess Apron Customers have rated this product	5 out of 5 based on 2 rating(s). 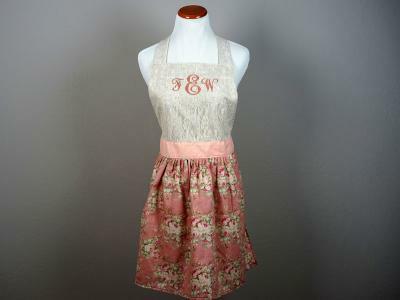 This vintage apron is gorgeous! I love it. 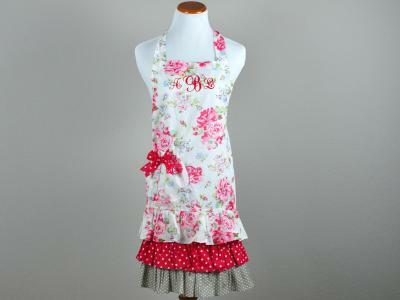 I also ordered two mother daughter sets & another daughter identical to this apron. 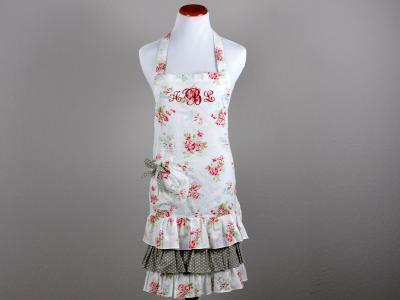 The six of us will wear them for a Valentines Day baking & tea party! 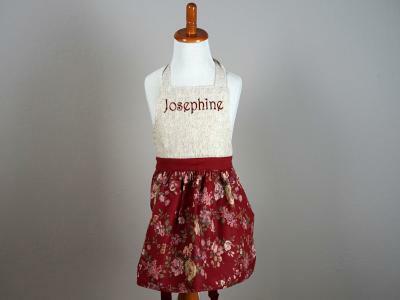 The material, lace & intials are high quality and beautifully sewn. They were perfect gifts to .. 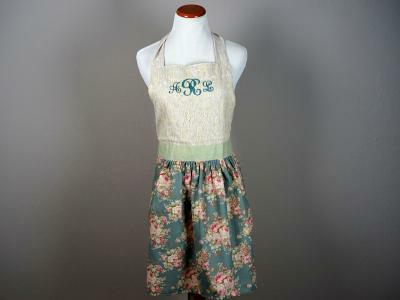 This vintage apron is gorgeous! My daughter loved it. 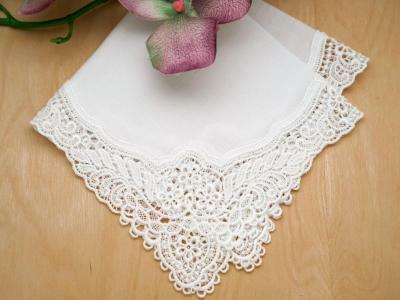 The material, lace & intials are high quality and beautifully sewn. It was a perfect gift to open Christmas morning!..